Ancient Mayas were the first to selectively cultivate their crops. Indeed, it was through their agricultural practise that we can eat corn today, for it used to be a single grain species: the Olmec and Maya are widely accepted as having cultivated tiny teosinte grain through selective breeding to, over centuries, become the corn of today. Corn has become an essential staple in Mexican cuisine. Indeed, the tortilla is the bread of almost every mexican meal. Maize, squash, beans, tomatoes, chillies, amaranth, several cactus varieties, and many fruits (among them avocado and guava) constituted the diet of the vast majority of early Mexicans. For this reason, many traditional dishes include these staple ingredients. But besides the long history, what makes Mexican cuisine so unique? The reality is that the combination of tradition and culture make Mexican food so special. Indeed, many recipes are passed along through the generations, and many regions can be characterised by a unique flavour or dish. In Mexico, preparing food is almost something sacred, with unique methods and traditional, natural ingredients used during the cooking progress. In addition, Mexican cuisine has incorporated different elements, old and new, into its recipes. 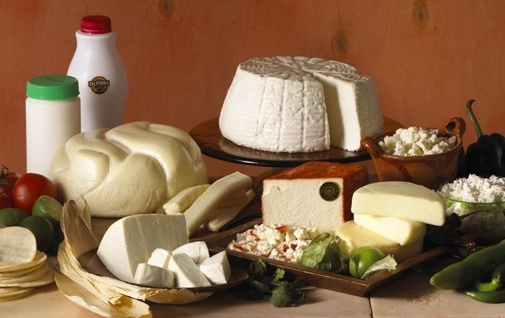 This means that when the Spanish conquistadores came and brought with them cheeses, animals and new methods, the Mexicans were able to incorporate these elements into their renowned cuisine. These are just a few of the reasons why Mexican food is so unique and renowned. Now, every time you bite into a taco or another Mexican dish, you know that it’s the result of many years of history!